Five Finger Death Punch News: Five Finger Death Punch featured on Jeopardy! Five Finger Death Punch featured on Jeopardy! 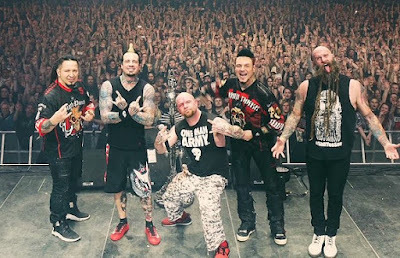 Congratulations to Five Finger Death Punch, who were used as part of a question of Jeopardy! recently. Chris Kael shared a photo where it reads: "Five Finger Death Punch got its name from a deadly move Uma Thurman used in this Tarantino movie series". Answer in the comments if you know the answer.